Thousands of users across the country and around the world use SignCommand to get their important message out to their communities, but why should you? We believe it’s because our software has been built from the ground up for organizations like yours. We deliver simple yet powerful solutions to run your new communication device. The easiest to use LED sign software in the industry, both in initial setup and content creation. True cloud-based software with nothing to install or configure out-of-the-box. 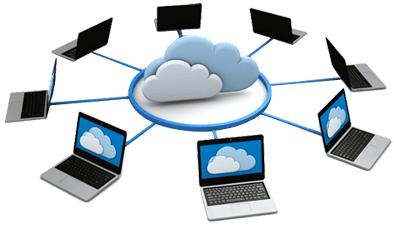 Software that uses Amazon Web Services, the leader in cloud hosting which provides rock-solid stability and security. Software that allows you to control and monitor one or more signs from any location and on any internet-connected device. Software with powerful content creation, scheduling and collaboration tools that ensures your sign message will be seen and acted upon. Software that is developed and backed by EBSCO, a multi-billion dollar-a-year corporation that will be with you in the long-term. Software that includes optimized sign graphics, video tutorials, and a network of US-based support should you ever need it. Without software, an LED sign is just a black rectangle. Without the right software, you aren’t maximizing your sign investment. When purchasing a sign, doesn’t it make sense to be sure you can use it to its full potential? Below are some of the many reasons why SignCommand should be running on your new sign. Control and monitor your sign from anywhere! For a sign’s message to be effective, it has to be timely and relevant. Being locked into using only one computer in one location to change your sign makes this difficult. What if there was a way to control your sign message from virtually any computer? It doesn’t matter where you are in the world, with SignCommand as long as you have internet access you can control your sign. Move from your work computer to your home computer seamlessly. Any sign messages you’ve created at work will be available for you to edit and send while you’re at home, following you “in the cloud”. The opposite is also true: any messages you create or edit at home will be waiting for you at work the next time you log in. Going on vacation but still want to be able to change your sign message? Just bring a laptop with you or use any other computer available, such as in the hotel’s business center. Because all data is sent over encrypted connections, you don’t have to worry about security when using someone else’s machine. Other settings such as power and brightness can be controlled from any location as well. And when you see the “Online” status indicator, you’ll know that your sign is successfully communicating with our servers. Nothing to install or configure! With traditional sign software, you have to download, install, register, activate and configure the software to work with your sign on EACH computer that you want to use. Every time any of those computers goes down, is upgraded, or if a different person is asked to update the sign, this process has to be repeated. If done incorrectly, this can result in hours of frustration with a non-communicating sign. With SignCommand, there is no software to install or configure on your computer. None. The first time you log into the SignCommand website, you’ll already be set up to use your sign. All you need is to do is connect electricity and an internet connection to your sign, and you’re ready to start sending it new messages. No matrix size and color configuration; no IP addresses and networking; no software setup at all. You can even start creating your message and learning the software before your sign arrives. This is possible because our software is run through a standard modern web browser. This means it will work on any device that can run a browser. Windows? Mac? Linux? Android? iOS (for iPhone and iPad)? It doesn’t matter. As long as the device can run an up-to-date version of Google Chrome, Microsoft Internet Explorer or other popular browsers, it can run SignCommand. See our Requirements page for the specific browsers that are supported. Control your sign with your phone! A school principal wants to be able to put a “SCHOOL IS IN LOCKDOWN, STAY IN YOUR CLASSROOMS” message on the sign at a moment’s notice. However, she is typically out on campus and away from her computer. A pastor’s church acts as an emergency shelter, and he wants to be able to change his sign to alert the public if severe weather is about to hit. Most of the time, no one is at the church offices that is trained to change the sign message. A business owner has different promotions he wants to be displayed on the sign, depending on who wins some local sports games. He doesn’t want to give out the username and password to change his sign to his employees. With practically everyone having a smartphone these days, wouldn’t it be great if you could send your sign a new message right from your device? Since SignCommand runs in a web browser on any internet connected device, it will work on your phone. The fastest way to send custom emergency communication is through our powerful Quick Message feature. Simply type in your message and send. The text will be formatted to fit your sign (or multiple signs), and immediately start showing on the display. 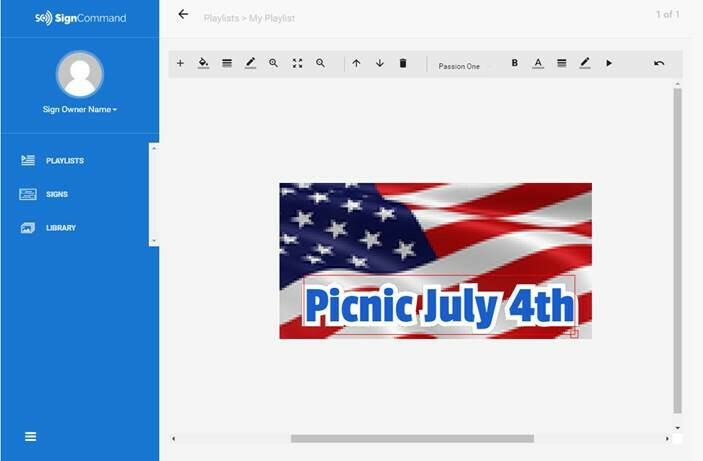 Make your special message on the desktop ahead of time and save it in the cloud. Send your special message from your mobile device when the time is right. And… that’s it. Your message is now on your sign. This is possible because the SignCommand interface has a responsive design. This means that it adjusts to fit the shape of your screen, and is always optimized to work on the device that uses it. Our signs automatically get the needed network information, including IP address, subnet mask and default gateway. Once the sign gets this information from the network, it will immediately begin communicating across the internet to our servers. Check out our New Sign Setup video for an idea of just how easy our setup is. Have a complex computer network? It won’t matter in the large majority of cases. We use a standard encrypted internet connection that every network should allow. If you’re visiting this website on your organization’s network and see the little green lock next to it, your sign should be able to communicate with our servers. In fact, your sign doesn’t have to be connected with the other computers on your network at all; only a connection to the internet is required for your sign. All data, whether it’s being sent from the sign or from your web browser, is encrypted and secure. Clean, easy-to-use and intuitive design! With SignCommand, we pride ourselves on being the easiest to use LED sign software in the industry. This isn’t just true in the initial setup of the sign, but in using the software to create amazing sign content. This is done in the heart of SignCommand: the Editor. This is where you will write your custom message, bring in your own images and video clips, or select from our expanding library of sign-optimized graphics. These intuitive controls allow you to create your message right in your web browser. Sign software that’s easy to use is sign software that will be used. Not convinced? See our full suite of online video tutorials for just how easy it is! Your LED sign has one job: get your message out to the world. We provide the tools to make sure your message is seen and acted upon. Our content creation features will allow you to easily make an amazing sign message. The Animation Templates feature uses the Unity 3D video game engine inside of your web browser to bring your text to life with movement and visual interest. If you can type, you can build amazing sign messages! In addition, you can use pixel text and regular text in many fonts and styles. The fonts have been hand-selected for optimum readability on electronic signs. Add outlines around text and style it to your liking. Upload your own images and video clips for use on your sign; even crop them to your desired size within the browser – no separate software required! Horizontally and vertically scroll text (think Star Wars), and set a scrolling speed. All text and media are sized and positioned with simple, intuitive controls. You’ll be up and running with your custom message in a matter of minutes. Place text on top of images and even video clips! Move elements forwards or back and order them to your liking. Multiple transition effects between slides adds movement and interest. In addition, you can copy slides within and between existing playlists, allowing you to quickly built up your messages. Saving is automatic, like a Google Doc… never lose your changes with SignCommand! And an undo button will allow you to revert the last several changes if you ever need to. Software is only as good as the people who stand behind it. With SignCommand, you are not only getting the easiest cloud-based LED software in the industry, but also a team of dedicated, in-house and US-based support representatives that handle all software issues. If the communication method is working, our support reps can remotely diagnose and fix many software issues. Any playlist or sign settings questions can be addressed without ever sharing sensitive password or account information. Your sign sends all of its diagnostic information to our servers at least once per day, more often if a new playlist or setting is sent to the sign. All of this diagnostic information is available to you as well by plugging a USB drive into the external USB port of your sign. You can determine if your sign is online at any time through the application; an “online” status means that it is communicating with our servers. Special software checks for a “heartbeat” coming from your sign’s internal computer, and will reboot the sign if necessary. A library of content at your fingertips! With your investment in LED technology, the messages that you display will now have the power to be more effective than any other outreach. But not just any content will have the impact you’re after. Plain text message can get lost in a crowded visual landscape, and many organizations don’t have the resources to create their own optimized sign graphics. Schedule down-to-the-minute and years in advance! Getting great content onto your sign is only one aspect of LED software. Another is making sure your content is shown at the optimum time. With SignCommand, you can schedule information to be shown on a daily, weekly, monthly or yearly recurring schedule, as well as on specific dates. This can be combined with scheduling during certain hours of the day to pinpoint exactly when you want your message to be shown. There is no limitation on how far out you can schedule your message, or on how many messages you can schedule. Of course, being the easiest to use sign software in the industry, we take these features further. Because there are so many ways to create a schedule, the combinations available to you can quickly become complex. What if there was a way to easily know exactly how your message is scheduled and when it will show next? Just look at the easy-to-read results at the bottom of the scheduling window, and it will tell you. Not only can you see how your message is scheduled, but when it will show next on the sign. You will never mis-schedule your content with SignCommand! We’ve all seen signs that advertise events that have long passed or provide information that is no longer relevant. While LED signs will certainly generate attention, stale content can make your organization seem out-of-touch or disorganized. An important feature of scheduling is the “Do not show after” option. Just set this to the day your content will expire, and never have an out-of-date sign. Finally, there may be times when you want certain content to be the ONLY thing that shows on your sign. We make this process easy. Just select “High Priority”, and this message will be the only one that shows on your sign during its scheduled time. Collaborate with others on amazing sign content! Fresh content on your sign is a must, and sharing the ability to create a sign message is a great way to make this happen. We recommend setting up a “sign committee” that shares messages and media items, and we bet you’ll be surprised with the amount of creativity they will provide. With SignCommand, you can have multiple user accounts for your organization that can all contribute to the success of your new outreach tool. But how do you collaborate on a single vision for your sign message? SignCommand makes this as easy as checking a box. Within your message, select the “Share this playlist” option. For all other users within your organization, they will now see your message within their “Shared Playlists” tab. They can then edit and send the message just as if they had created it themselves. Other users can also share their messages with you in the same way. And when someone leaves the organization, just remove their account from SignCommand and they can no longer access the sign. It’s that simple. Serve the community with precision! Your sign is not only an extension of your organization, but is also an ambassador to the local community. Many organizations opt to include time or temperature information with the rest of their message. Although readily available on smartphones today, many drivers and pedestrians still look to outdoor signage to provide them this information. It’s important that your sign reflect the precise data that will allow you to serve your community. With SignCommand, the date and time shown on your sign come from its internal computer. The current time is set down to the millisecond every hour from an official internet time source. This prevents time “drift” issues where the current time slowly becomes inaccurate, as well as provide immediate changes for Daylight Saving Time. You will never need to worry about changing or resetting your time. When it comes to your local temperature, we have you covered as well. SignCommand uses accurate online weather services to provide your sign with the local temperature for your organization. Unlike unreliable and unsightly temperature probes bolted to the sign cabinet, an online weather service will never pick up radiant heat from a road or parking lot, or be subject to vandalism or physical malfunction. If one sign is good, then many signs are even better. 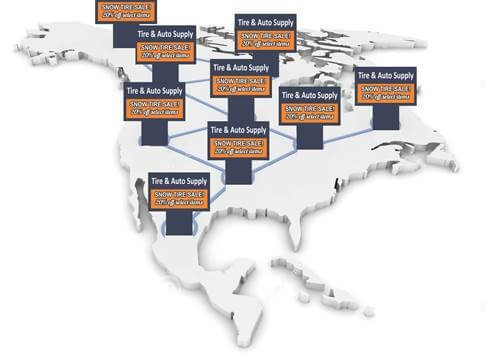 Businesses with multiple locations want to coordinate their advertising efforts. Schools or churches with large campuses want to communicate at different entrance points or streets. What if you could have a single Command-and-Control center for your signs, located anywhere in the world? With installed software, you typically have to be on the same computer network as the sign itself. This means that if you have more than one sign, ALL of your signs need to be on that same network to control them from a single location. If those signs are physically far apart from each other, this becomes nearly impossible. Unless you have special equipment and an advanced degree in computer networks and systems administration, setup can be daunting to say the least. With SignCommand, it’s as simple as turning on your sign. Because we use the internet to communicate, the distance between signs doesn’t matter. Not only do you not have to be on the same network, you don’t even have to use the same internet provider for each of your signs. Comcast, Frontier, Verizon, Charter, Time Warner, or a cellular data plan… it doesn’t matter. And as your sign network grows, adding those new signs is as simple as turning them on as well. Send different messages to different signs, or even to different sides of the same sign. If your signs share the same matrix size, you can send the same message to all of them simultaneously. Monitor their online status and send new brightness or play schedules from one account. Whether across the street or across the country, SignCommand allows you to easily build a sign network that will work for you.